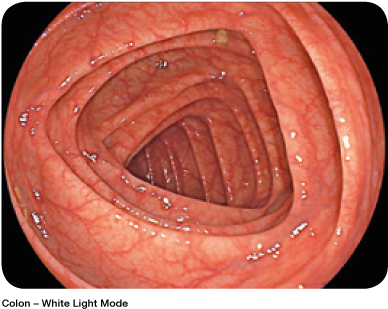 Achieving optimal diagnostic and therapeutic results in endoscopic procedures is highly dependent on image quality. 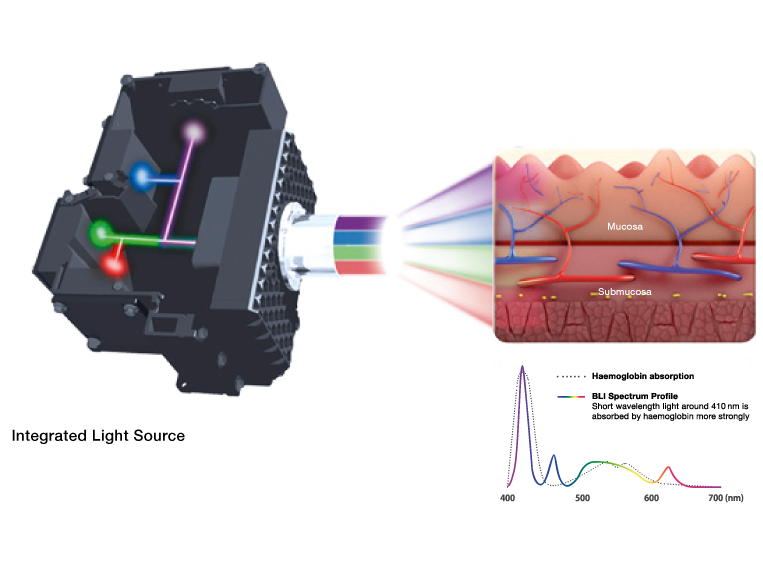 Therefore the Multi Light technology was developed providing the observation modes LCI and BLI. 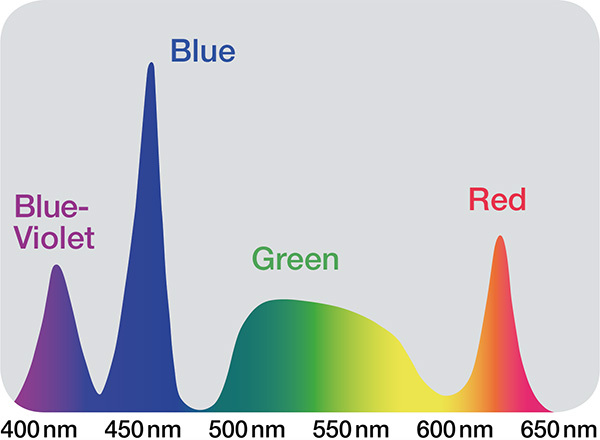 A high performance spectrum of light is generated from a powerful light source with four individual LED light bulbs. Enhanced visualisation of haemoglobin, and thus blood vessels, is generated by the high peak intensity of short-wavelength light (blue-violet and blue). 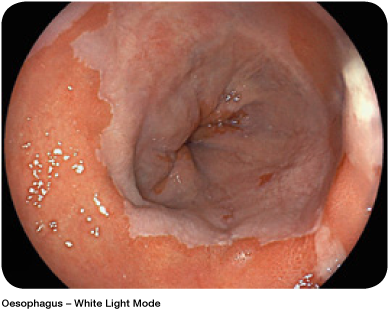 Specific light spectrum settings targeting the mucosal layers result in improved contrast and higher definition of imaging. With the involvement of numerous clinical experts the ideal composition of four LEDs has been developed to achieve the optimal results in illumination. The white light mode provides superior image quality in terms of sharpness and brightness to gather optimal visual information for diagnostic and therapeutic procedures in daily clinical practice.